Trinity knot decoration and green crystal center Celtic cross. 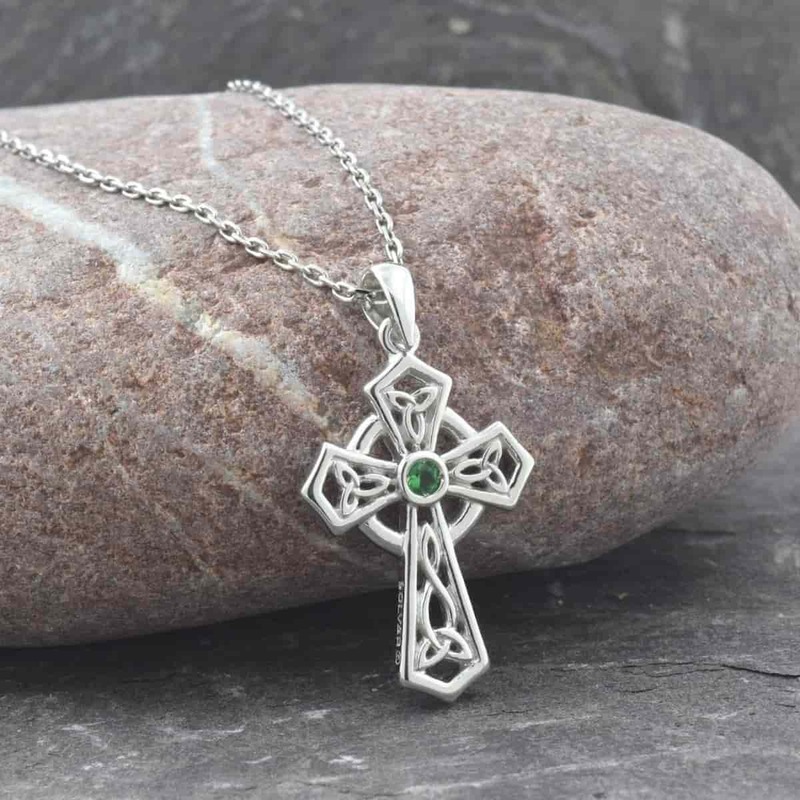 Classic sterling silver Celtic cross featuring trinity knot decoration and green crystal center stone. Measures 15mm wide and 28mm high (including bale). Handcrafted in Dublin and hallmarked at the Irish Assay Office in Dublin Castle. Fitted with 18″ sterling silver chain. Free shipping and 30-day money back guarantee on all purchases.